One year into retirement and it feels like permanent sabbatical–i.e., wonderful! I completed the book manuscript on Easter Island and sent it off to the publisher, and with Dr. Brian White-Guay and two great students we published a research report measuring the drug shortage problem in Canada – -a spot of work that grabbed some media attention and an op ed, although no sign of anyone trying to solve it yet. 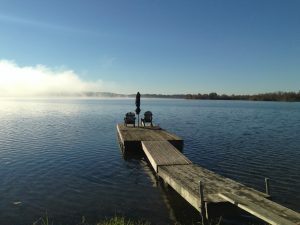 Looking forward to a summer that will entail seeing all four of my grandchildren — 3 boys and a tiny girl born June 19–and more time at the chalet at Lac Mégantic and morning coffee on my dock on Colonel By Lake near Kingston Ontario.